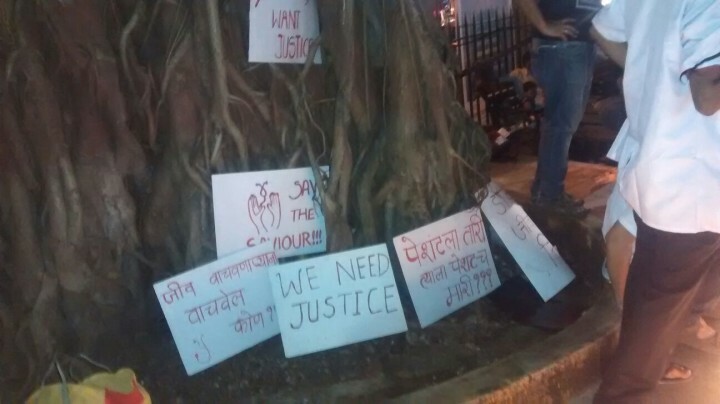 Post the alleged assault of 3 resident doctors working at KEM Hospital, Mumbai early this morning, the 1200 resident doctors working at the state-run King Edward Memorial hospital have called an indefinite strike. This comes after the representatives of the MARD ( Maharashtra Association of Resident Doctors) spent the whole day trying to convince the authorities to lodge an FIR against the relatives of the patient who attacked the resident doctors after their patient succumbed to Dengue Shock Syndrome. 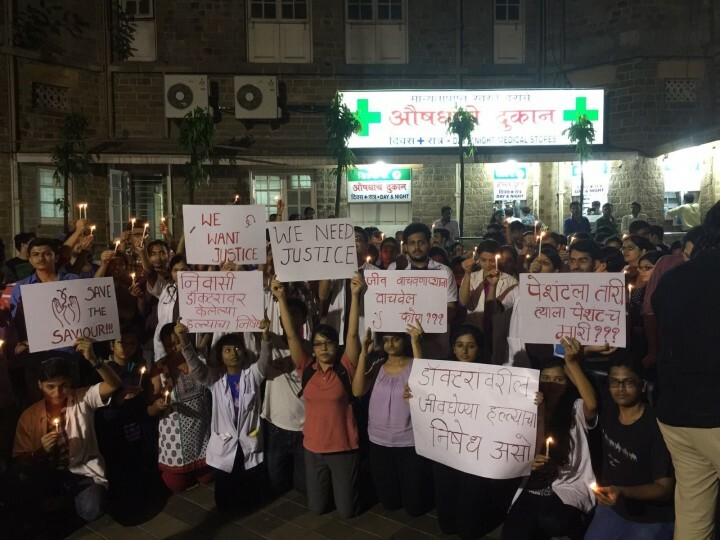 While the FIR has finally been lodged against the accused, the residents doctors plan to continue the strike till the accused are arrested under the ambit of Doctors Protection Act. 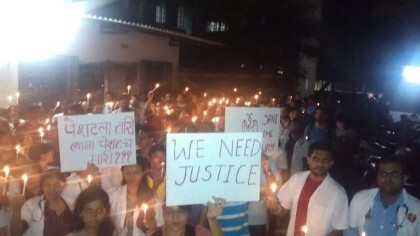 The resident doctors gave a list of demands of the Dean of Seth GS Medical College and KEM hospital, clearly pointing out that this time verbal assurances would not be enough. Almost all the demands relate to the provisioning of proper security measures for the doctors at the hospital including availability of guards, CCTV cameras, Pass systems. 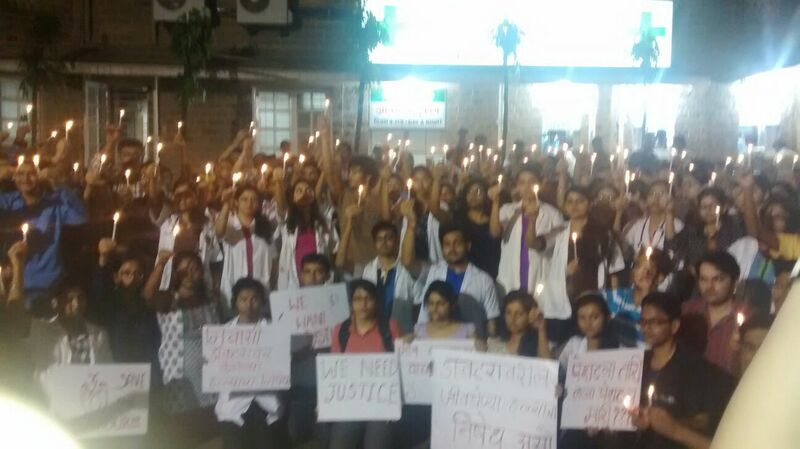 Resident Doctors all over Maharashtra will wear black ribbons to show support to striking doctors at KEM. Resident Doctors all over the country are condemning the violence against doctors, and extending support to KEM residents. “We strongly condemn such acts and warn the government to look into such acts seriously. We demand for a better law/policy and its implementation. Otherwise very soon, the doctors at government hospitals/ medical colleges will have to go for a nationwide agitation to fight for their rights.” said Dr Pankaj Solanki, President FORDA ( Federation of Resident Doctors Association, Delhi).